No, it doesn’t happen quite like this anymore but one can make the effort. 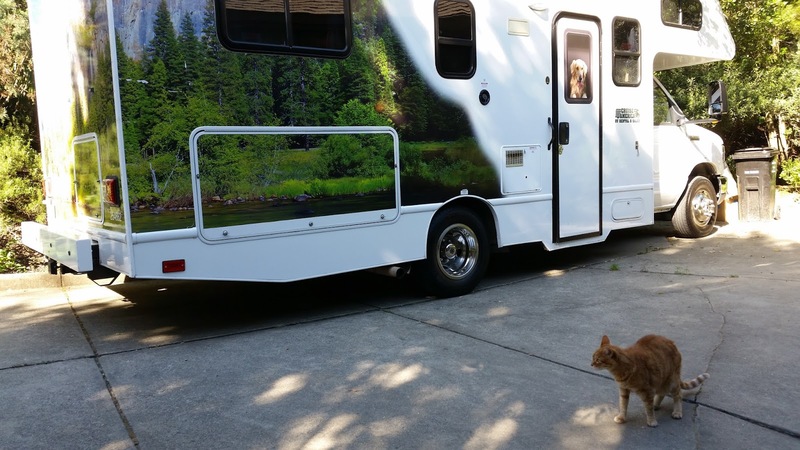 indoor RV showroom…below…3 buildings taking up a near block…and HERE WE ARE! classic ‘retro’ camper still made… a mere $30,000 for this lightweight, small camper…,my style! Carmel-by-the-sea at food of Ocean Ave. Most dog-friendly town ever, thanks to local legend Doris Day and all her animal welfare programs. NEW INVENTION BRINGS THE OUTDOORS TO INDOOR CATS FOR LESS! Glad you had a great adventure! Hopefully, the kitties will get used to it and travel with you in the future.